Nothing finishes a room or provides sound absorption for an interior like beautifully designed top treatment or drapery panels. 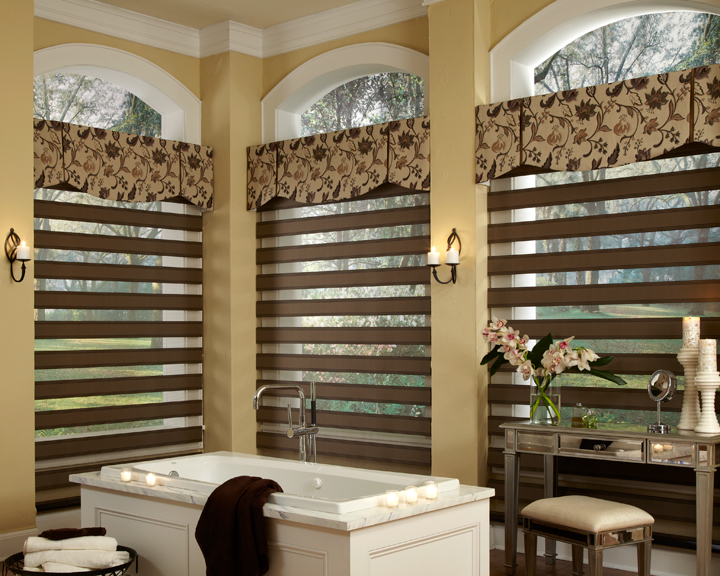 Enjoy these benefits with drapery that is designed to draw closed completely or remain stationary. 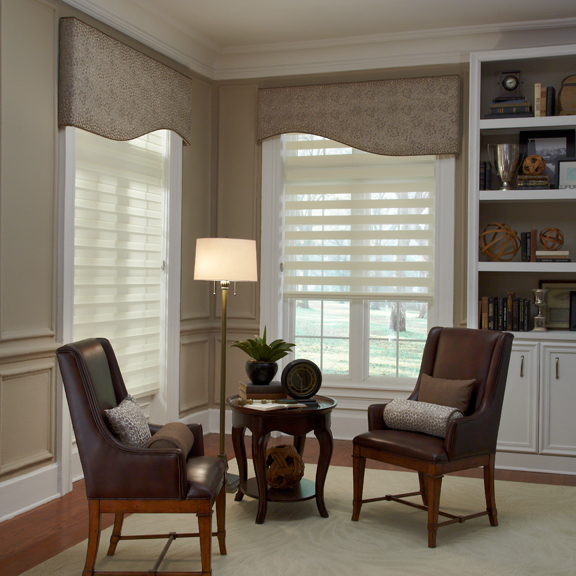 Many times a room can be beautifully “dressed” with just the addition of a top treatment over your blinds, shades or shutters. We offer lots of options for adding a little color and personality to your rooms with our top treatment program. We use a wide range of fabrics, sheers, and trims to create a look that’s uniquely YOURS! Shutter Guy is a leader in Closet Organizers in the Charleston, SC area. We also serve Goose Creek, Summerville, Isle of Palms, Sullivan’s Island, Folly Beach, Mt Pleasant, Seabrook Island, Myrtle Beach, and surrounding areas.